Finding great eyewear is not just about improving one’s vision. It is about finding the perfect accessories that will complement an individual’s own unique sense of style as well as their appearance. This is why we are proud to be able to assist all those that are in need of comprehensive optometric services, including a new pair of eyeglasses, sunglasses, contact lenses, or other forms of eyewear. From Studio City to Toluca Lake, we have been helping countless patients find the eyewear that they need for a great new look. 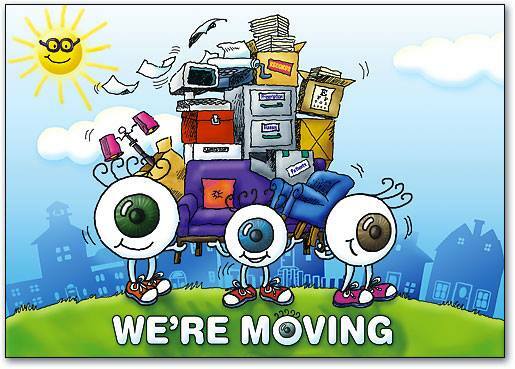 This includes a full line of products and brands for all sunglasses, custom frames, eco-friendly eyewear, and more. For residents of Toluca Lake and the neighboring Studio City area, the first step to finding amazing new eyewear is scheduling an eye exam with our friendly and experienced optometrist. We understand just how busy every single one of our patients are, and that is why we like to make every single visit to our office as quick and easy as possible. Whether you are in need of being refit for a new pair of contacts or are looking to find frames for a new pair of glasses that will be comfortable day in and day out, you will find the world-class services that you deserve right here at Eye Candy Optometry and Eyewear. Here at Eye Candy Optometry and Eyewear, we also believe that our office is only as good as every single one of our staff members, beginning with our seasoned optometrist, Dr. Anthony Rabbani. 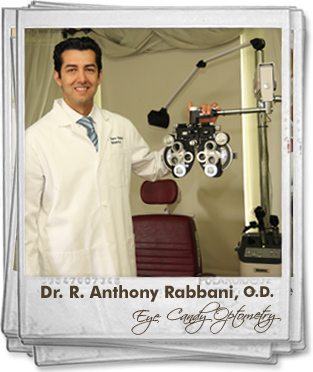 As a proud graduate from the New England School of Optometry in Boston, Dr. Rabbani has gone on to assist countless locals throughout the Toluca Lake and Studio City area with the quick and affordable services that they need for great vision and stylish eyewear. He and his friendly staff are proud to provide every patient with a full line of services ranging from the treatment of serious medical conditions to restorative LASIK eye surgery. Pink eye can be a devastating condition for anyone to deal with, and this unfortunate ailment is something that countless patients will struggle through at various points throughout their life. For those that do not have this viral or bacterial infection treated as quickly as possible, there will be a serious risk of severe damage to one’s eye and their overall vision. This is why we provide all locals of Toluca Lake and Studio City with the emergency treatment options that they may need at various points throughout their lifetime. If you are ready for a friendly optometric practice that can provide a wide array of effective services in a friendly and warm environment, give us a call today.